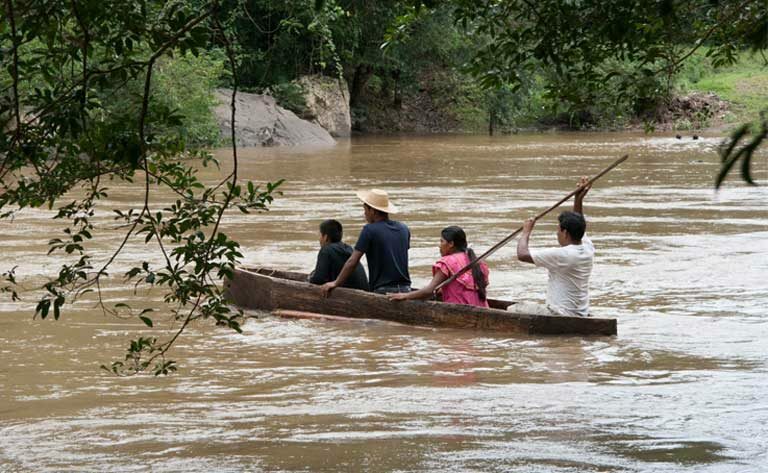 For nearly a decade, Panama’s Barro Blanco dam has met with strong opposition from indigenous Ngäbe communities. It has also generated violent suppression from government forces, and attracted criticism from international organizations. An agreement on the dam’s completion, reached by the government and the community’s now-ousted leader, was voted down by the Ngäbe-Bugle General Congress in September 2016. The dam’s surprise deregistration from the UN Clean Development Mechanism in October 2016 did nothing to stop the project. Now, the General Administrator of Panama’s National Authority for Public Services has declared that the Ngäbe-Bugle General Congress never presented a formal rejection document to the government, meaning dam operations can begin. 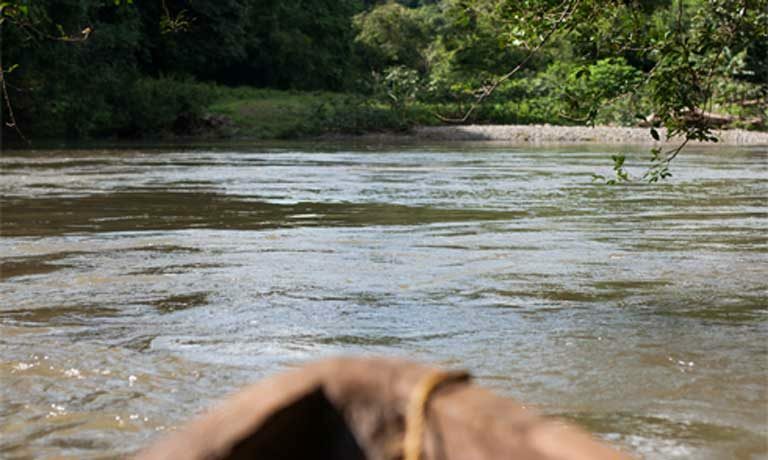 Panama’s Supreme Court has ruled against the last two legal actions by indigenous communities impacted by Barro Blanco. The Supreme Court decisions cannot be appealed, so the communities have now exhausted all legal avenues within the country, leaving only international processes. The contentious Barro Blanco hydroelectric dam is set to begin operations within the next few weeks, defying both the relentless opposition by affected communities and the rejection last September by local indigenous authorities of a government proposed project completion agreement. 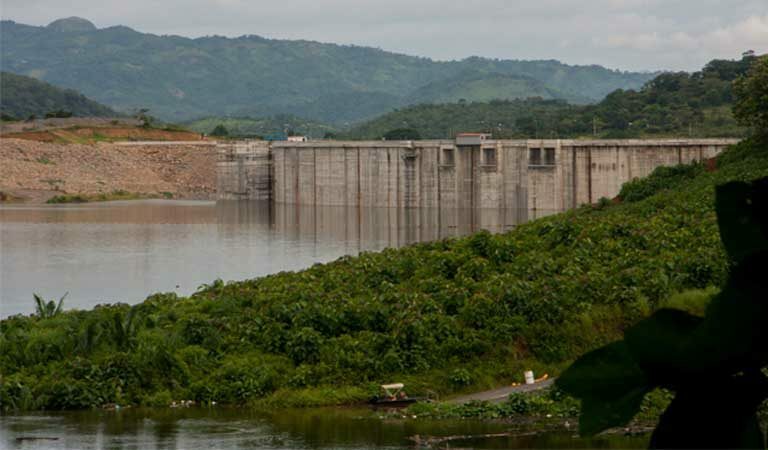 According to Roberto Meana, General Administrator of Panama’s National Authority for Public Services (ASEP), the 28-megawatt gravity dam in western Panama could begin operation within days once necessary tests are finalized. The reservoir’s waters have been rising since August of last year, gradually flooding Ngäbe communities and land. “It can be in five days, or it can be two weeks, but the project is very close to entering its commercial operation,” Meana told Mongabay last Friday. The hydroelectric project, partly funded by two European development banks, has been at the epicenter of a complex environmental and human rights battle that has raged on for nearly a decade between a handful of indigenous Ngäbe communities and successive Panamanian administrations. 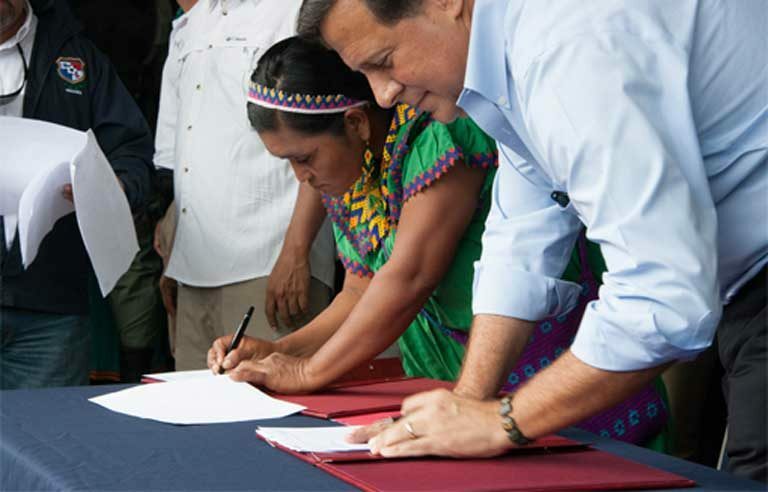 In the last few months alone, the project was removed from the United Nations’ Clean Development Mechanism (UNCDM), a positive result for the indigenous communities; but has also had two pending legal pleas rejected by Panama’s Supreme Court in favor of the government — potentially opening the door for the forceful expulsion of the affected indigenous people from their lands. The structurally complete dam on the Tabasará River is set to create a 258-hectare (1 square mile) reservoir within the province of Chiriqui. It will flood 6.7 hectares (16.5 acres) belonging to the Ngäbe-Buglé comarca — a semi-autonomous region located a few miles upstream of the dam. The imminent operational status of the project now raises serious questions over the future of the local riverside Ngäbe communities, which have continuously called for the dam’s cancellation since it was given the go ahead in 2007. “If the government is going to start generating [electricity], then they are confirming the violation of our rights as an affected community,” Weny Bagama, a Ngäbe-Bugle General Congress delegate and a leader of the outspoken M10 (Movimiento 10 de Abril) group opposing the dam, told Mongabay. “They are doing this even though [the Ngäbe-Bugle General] Congress rejected the past agreement,” she said referring to a now defunct accord to allow the dam’s full operation which was reached by the government and the Cacica (negotiators) of the Ngäbe-Bugle community in August 2016. That deal was in turn rejected by the community in September when the Cacica negotiators were ousted by the Ngäbe-Buglé General Congress, the comarca’s key decision-making body. “The [General] Congress’ decision is the internal decision of the comarca, and if they don’t respect that, then evidently the government just does what it likes and does not respect the jurisdiction established by comarca law,” Bagama said. 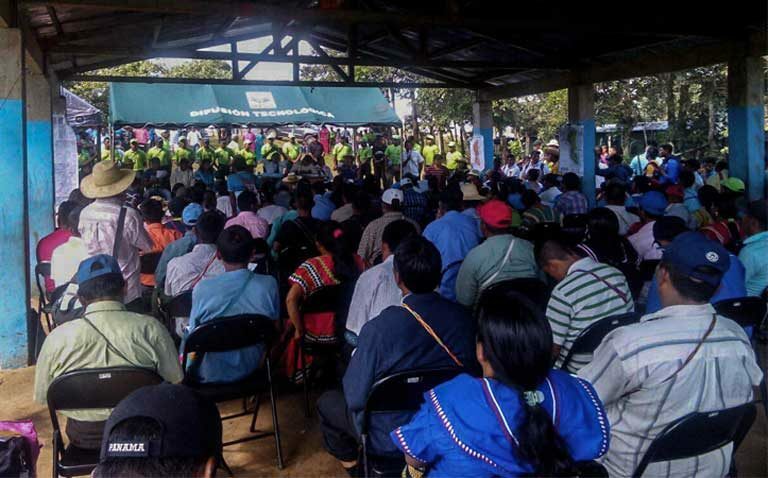 According to Meana, however, the Ngäbe-Buglé General Congress’ decision to reject the agreement was not followed by submission of the proper paperwork to the government — a formal document outlining the community’s decision and the reasons for the dam’s rejection. “To date, there is no document in which this agreement is rejected. The [Ngäbe-Bugle] Congress sent it to be revised. If the Congress had rejected it, they wouldn’t have set up a commission to review it,” Meana said referring to a commission created by the indigenous General Congress to formally analyze the conflict. These conclusions were strongly opposed by Bagama, who stated that although the congress had not filed a legal rejection document, the congress and the special commission had yet to finalize their response. The vote by the indigenous body last September appeared to place a cloud of uncertainty over the project, as it was thought by both parties that they would renew negotiations to reach a final agreement. But even before the indigenous Congress’ rejection, the government allowed the dam’s construction company Generadora del Istmo S.A. (GENISA) to begin test flooding the dam’s reservoir in August, 2016 — a move opposed by the Ngäbe communities that have since lost homes and some of their most fertile land to the rising waters. “As a community we feel that we are prisoners within our own homes, we can’t move around as we used to, the water levels have dropped slightly [due to the dry season], but all the surrounding land has just turned into mud,” Bagama explained. “We live in a situation of constant threat because of this reservoir, with what the government has been doing and their economic interests, which are above our livelihoods as indigenous people,” she added. As the reservoir’s waters rose toward the end of 2016, there was a series of back-and-forth shifts in the status of the controversial project. In December, Panama’s Supreme Court ruled in favor of the hydroelectric project on the last two pending legal processes active within the country. 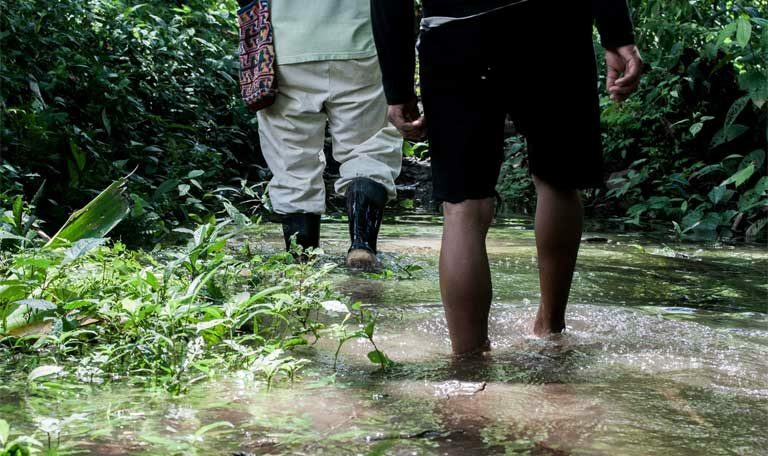 The first of these was a Protection of Constitutional Rights action, filed by lawyers in 2015 on behalf of the Ngäbe communities in order to protect their access to water. “The company had asked for a certain volume of the river’s flow [required for the dam’s operation], and the government actually gave them more than what they asked for,” explained Susana Serracín, an environmental lawyer for Panamanian NGO Alliance for Conservation and Development (ACD), which has been advocating for the affected Ngäbe communities. “This put the community’s water security seriously under threat,” she said. The court rejected this legal action because it was “presented six years after the start of the project” and not within the required first three months of development, which would have allowed time for estimates of environmental damages, stated newspaper La Prensa. Also in December, the Supreme Court ruled in favor of a resolution generated in 2013 by Panama’s National Authority for Public Services (ASEP), declaring the construction of Barro Blanco to be in the “public’s interest” and its construction “urgent” even though it was challenged by the Ngäbe communities. Additionally, the resolution gave GENISA the authority to enter indigenous land in order to complete the project. ASEP’s resolution, by declaring the project to be in the national interest, will clear the way for the government to legally expropriate any land needed to move the project to completion, explained Serracín. 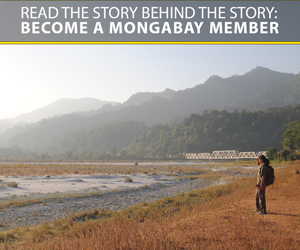 “The communities have to cede their land in favor of the project. But the government here is obviously not favoring the public interest, because this project has been undertaken by [GENISA] a private company,” she said. The high court’s decision opens the door for the legal forced relocation of the Ngäbe communities now living upstream of Barro Blanco. According to ASEP’s Meana, however, no one to date has been forcibly evicted from their lands despite the reservoirs rising waters. “The project [reservoir] has flooded, it’s already working towards normality and the government has not had to undertake any forced evictions of anything or anyone,” Meana explained, adding that the court’s decision also provides transparency when companies undertake a project such as Barro Blanco and cannot reach an agreement with affected stakeholders. “When you see the reality […] of the two or three people that have been affected by it [the flooding], the state is seeking to compensate them properly. The position of the state is to compensate those that have a rightful claim to the land,” he said. Panama’s Supreme Court’s decisions cannot be appealed, so the community has no recourse under Panama’s laws to continue its legal opposition. “All the cases that have been filed on a national level have been exhausted. The community now has nothing to do. The only processes that are left are the international ones,” ACD’s Serracín said. In March 2016, ACD filed a request for precautionary measures at the Inter-American Commission on Human Rights (IACHR) in a bid to protect the affected communities. To date, the commission has not responded with a decision, but after a public hearing in Washington last week, it has requested a report from the Panamanian government on the situation of the country’s human rights defenders. With the dam’s operation about to begin and the IACHR decision still pending, the possibility of a successful international appeal by the indigenous communities seems far from likely. 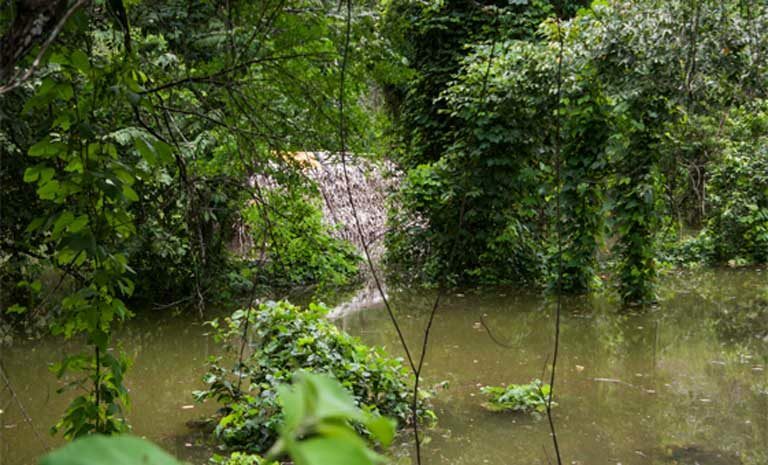 The sudden request for the project’s immediate deregistration from the United Nations CDM made by Panama’s Ministry of Environment (MiAmbiente) in October, for example, did nothing to halt the dam or the river’s rising waters. Initially, Barro Blanco’s CDM registration — which had allowed the project to earn Certified Emission Reductions, or carbon credits — had been viewed as a positive development by indigenous community advocates. In the letter of withdrawal, MiAmbiente stated that Barro Blanco’s CDM registration in 2011 was performed under the guise of an outdated 2008 Environmental Impact Assessment (EIA), which analyzed the dam’s impact based on its initial generating capacity of 19 megawatts. But in 2010, GENISA, the project’s construction company, received approval from Panama’s former National Authority of Environment to increase the dam’s capacity to 28 megawatts without a new EIA — a regulatory violation flagged by the indigenous community, national and international NGOs. “Barro Blanco has now become a source of embarrassment for the government, as it obviously does not meet the requirement of sustainable development. It violates the territorial rights of the Ngäbe people, and blatantly disrespects human rights,” ACD executive director Osvaldo Jordan told Mongabay days after the deregistration. According to Jordan, the initial CDM validation report of Barro Blanco by Spanish company AENOR in 2010, and the project’s subsequent registration in 2011, played a key role in the initial and continued funding of the project by European banks — the German Investment Corporation (DEG) and the Dutch development bank, FMO. “This [deregistration] is the result of a failed 10-year policy of hydroelectric projects in Panama […] and it will have an impact on future development projects in the country,” he said. These sentiments are echoed by Brussels-based NGO Carbon Market Watch (CMW), an organization working alongside the affected community. CMW had repeatedly called for the cancellation of Barro Blanco’s UNCDM registration. “Obviously taking into account the very negative effects of Barro Blanco, we really welcome this move. But at the same time it has to be mentioned that even though this is not a CDM project any more, it will still go on. There will still be a Barro Blanco hydroelectric dam in Panama,” Juliane Voigt, CMW’s Policy Officer for sustainable development said. The European banks have stayed mostly silent on this issue. According to DEG spokesperson Barbara Schrahe-Timera, both DEG and FMO have not been part of the contentious negotiations between the government and the Ngäbe-Bugle. “We repeatedly — also during the past few months — took active steps in exchange with various parties concerned, including environmental and social experts on site, to contribute to a mutual solution,” Schrahe-Timera told Mongabay. Despite repeated requests for clarification, the DEG spokesperson failed to say what these steps entailed and did not comment on the project’s withdrawal from the UNCDM. For the Ngäbe communities dotting the shores of the Tabasará River, the tumultuous shifts in the legal battle do not alter their reality on the ground. The dam’s waters have receded marginally due to the country’s dry season, likely to end around April. According to Miranda, 11 houses had been flooded so far and an additional four may need to be evacuated as the reservoir expands and continues flooding the comarca. The test flooding over the past seven months has demonstrated, the Ngäbe say, the government’s unwillingness to acknowledge the community’s ongoing concerns. “The government still tries to push forward the project without acknowledging the environmental, social and cultural violations; it doesn’t interest them. And for us it doesn’t make sense,” said Miranda. According to ASEP’s Meana, however, the government has maintained “daily contact with the affected people” regarding their current situation. This contact, he says, is “first to establish the degree of impact, and second to give a specific solution in the long term.” He added that the government also remains in dialogue with representatives of the Ngäbe-Bugle General Congress to resolve the conflict. The communities and their advocates deny that this continuous dialogue with the government has occurred. However, a government delegation that visited Kiad in February was presented with a document that called for the immediate lowering of reservoir levels to the comarca limits, a concession that now seems improbable. “We have asked the levels to be lowered, in writing. They said that the project [would be] 100 percent outside of the Comarca, so generate your electricity outside it, but don’t allow the reservoir to affect the comarca territory,” Weny Bagama said. The government has so far made no direct response to this demand, but has also not moved forward on the forced removal of the Ngäbe communities.